Stillbirth is defined as the death of the fœtus at 20 weeks of gestation or more during the pregnancy term. Nearly 25,000 stillbirths are reported every year in the U.S. and represent 60 percent of prenatal deaths. The mothers who present the highest risks of stillbirths are amongst the black population, which is nearly double the rate of those in white women. This is attributed to the higher level of hypertension, rates of diabetes, placental abruption and rupture of the membrane at an early stage of pregnancy. 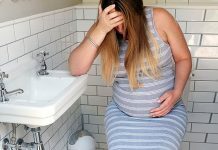 Obesity and advanced age of the mother can also contribute to a risk in stillbirths as well as hypertension and diabetes, which are the most common disorders associated with pregnancy and may increase the risk of stillborn babies by twice or five times more compared to women in normal conditions. Another cause of stillbirths is the foetal growth restriction; this is when the foetus does not develop appropriately, due to various reasons, such as smoking, obesity, diabetes, foetal infections or genetic imperfections. Placental abruption is when the placenta detaches itself from the wall of the uterus, thus provoking damage to the foetus. This may occur in mothers that smoke, suffer from hypertension and consume illegal drugs. The American College of Obstetrics and Gynaecology (ACOG) stress the importance of performing autopsies on the stillborn babies in order to glean more information as to the cause of death. This is a delicate issue for often parents cannot come to terms with this kind of request. 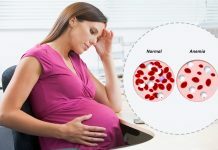 Although there are no sure results, it is advisable for all pregnant women, to abstain from drug taking, smoking, and keep your weight at check and the level of glucose in the blood. is this always seen as a result from the reasons stated above, or does access to care influence it. Or do providers treat black American women differently then their white patients? I doubt that would contribute to a 100% higher rate than stillbirths among white women, but does it contribute at all?